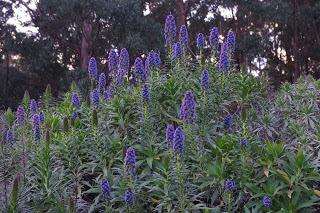 One afternoon last week I jumped on board the country train and headed into the big smoke of Melbourne. The country train gets me to Melbourne in comfort in under an hour and dumps me off at the southern end of the city. 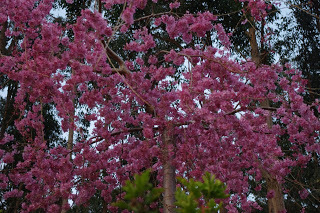 I really enjoy walking around the busy streets of the city taking in the sights, smells and colour. Such trips are not only for pleasure though, and I often intersperse my walking enjoyment with more pragmatic tasks such as obtaining “hard to get in the country” items at various shops along the way. Of course, it must be recalled that Melbourne is home to a very serious coffee culture. So whilst I’m in the big smoke walking around enjoying myself and running errands, why shouldn’t I also avail myself of a quality cappuccino and cake? It seems only fair! And then why stop at just a coffee and cake, when other good food is on offer? 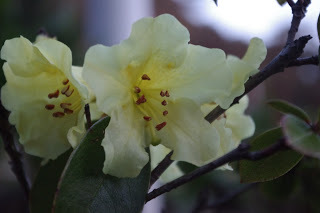 Many years ago I once mentioned to a local plant nursery dude how much I enjoyed flowers. 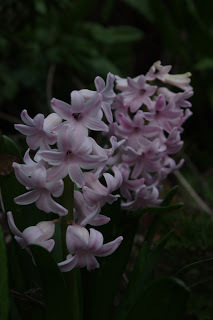 He responded quite bluntly by pointing out to me that my enjoyment of flowers was because: “I was getting older”. Thanks for the reminder mate! Anyway, as I’ve gotten older, I’ve understood that my sport has become walking. 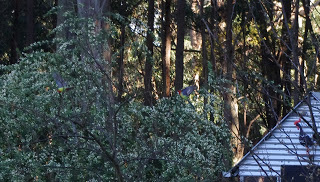 And those walking trips around Melbourne can take me (and the editor) many hours and we can cover a huge area. However, as I mentioned before, if there is a coffee and cake, or good feed along the way, then that is cool with us. Last week after a long walk, the editor and I stopped into a café. As I ordered a New York cheesecake for both the editor and I, and a cappuccino, I happened to look across the counter and my eyesight was confronted with a childhood nemesis, albeit in the form of a mixed praline chocolate cube. That nemesis was the Rubik’s cube. 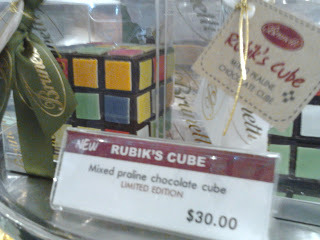 My nemesis the Rubik’s Cube now in the form of a mixed praline chocolate! The reason that the puzzle became my childhood nemesis was that I could never solve the puzzle so that each of the six faces showed only a single colour. To put it bluntly, I hated the puzzle. There were people who would solve the problem in record time and were only too happy to demonstrate their skill on television. Alas for me I was not one of those people. And to be honest, I did not know anybody else who could solve the puzzle in record time either. Of course that may have had something to do with the people I was associating with at that young age, however that may vary for other people! Way back in the day, that Rubik’s cube spawned books about how to solve the puzzle. There were also competitions and much fame (and the previously discussed television air time) accrued to the clever folks who knew how to solve the puzzle. Anyway, solving the puzzle was a total nightmare for me. Then after not too much time of being totally frustrated by that puzzle, I noticed that the internal pivot mechanism had a touch of play. Play is the fancy name for the otherwise technical term that refers to mechanical looseness in a mechanism. I soon began wondering whether the device could be pulled apart and then put back together again with the puzzle solved. 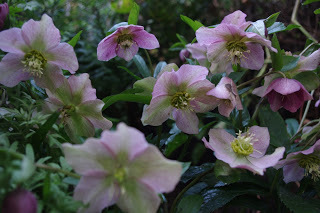 Winning – if I could only work out how to dismantle the hated puzzle! Now you have to recall that this was back in the day before the Internet was even the remotest pipe dream and so you couldn’t just watch a YouTube clip showing how to dismantle a Rubik’s cube (which incidentally now returns 35,500 related videos). Nope, in those days you had to slowly poke around the Rubik’s cube with the tools you had available to you and tease the mechanism apart into its constituent components (hopefully) without breaking it. Fortunately, it did not take me long to tease apart the Rubik’s cube without breaking the internal pivot mechanism. The amazingly complex internal secrets of that puzzle were soon displayed to my young eyes and I was able to complete the puzzle in record time, albeit in an unconventional manner. In doing so I learned not only some useful lessons about deconstructing industrial mechanisms, but I also learned that a person would be wise to consider other options that are not at first presented as options. Sun Tzu mentions this strategy in his ancient treatise: “The Art of War”. However, I call this strategy, the “Third Option Theory”. Rubik’s cubes, coffees and cakes aside, it has been an epic week of work here this week. 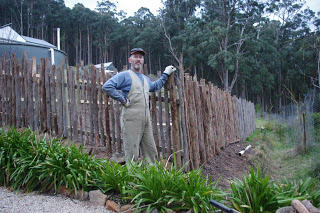 I was determined to finish the fencing for the extension of the tomato enclosure. And finish we did! 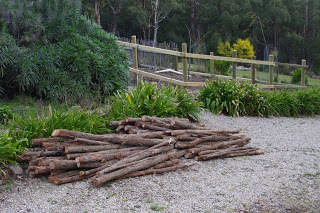 One day was spent cutting the 200 lineal metres (660ft) of eucalyptus saplings, which were to be converted into pickets for the fence. 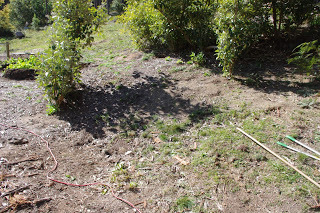 As part of this process, the editor and I moved the saplings to a convenient location for cutting purposes. They were ultimately cut into 1.5m (5ft) lengths. We also grubbed up the stumps and generally cleaned up the forest where the saplings were removed from. That is some hard work. 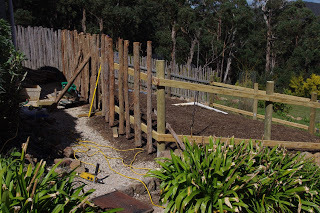 Once the saplings were converted into pickets, we then had to move all of those pickets by wheelbarrow down the hill so that they were convenient to the tomato enclosure. The next day was sunny and warm. That weather was almost perfect for attaching the pickets to the fence rails. All of the pickets had to be drilled and then screwed onto the rails. Some people may prefer using a nail gun to achieve the same result. However, long term the stress from the nail may split the green timber when it eventually dries. Pre-drilling the pickets avoids this problem. And so we attached about 185 pickets to the fence that day. Every fourth or fifth picket was tested for level using a level stick too. And the pickets were individually cut so that they provided a delightfully scientifically random pattern along the top of the fence. 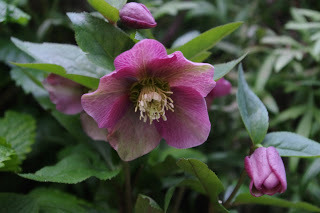 By the end of that long day of work, the weather had turned and the sun was hidden by thick cloud and rain threatened. 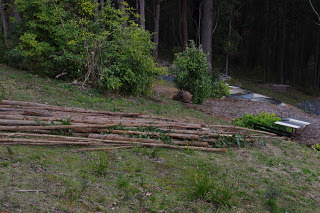 By the time we finished attaching all of the pickets, that obscured sun was just dipping below the horizon and the chickens who had been roaming around the orchard, were taking themselves to bed. As we were attaching the pickets to the western end of the enclosure, I spotted a very rare Toothy flower sleeping hidden among the agapanthus. 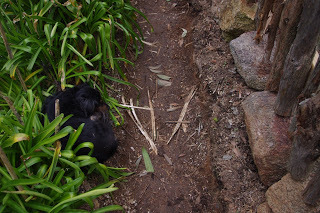 Mr Toothy, the long haired dachshund was asleep in the drain which runs alongside the tomato enclosure. That drain ends up in the swale. In big storms, the drain can carry a lot of water. 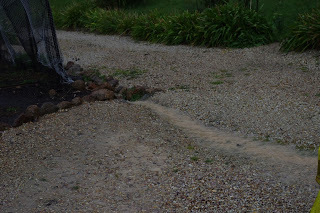 Even in small storms, the drain looks like a small creek. Eventually as the sun was beginning to set, the job was completed and all of the pickets were attached to the fence. Inside the tomato enclosure looks pretty good. 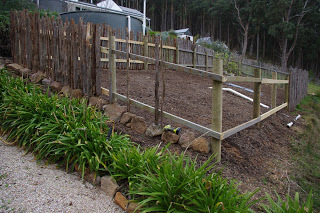 Now all that needs to happen is for the enclosure to be planted out with tomatoes and other vegetables when the weather gets warmer. 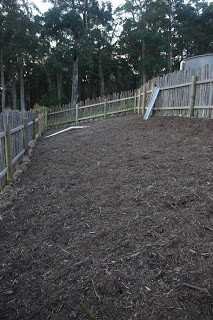 We reckon the enclosure has almost doubled in size and that will allow us to plant other crops which will enjoy protection from the voracious wallabies. Awesome! I mentioned last week about some numpty from a while back who in all seriousness suggested to me that the solar photovoltaic panels here were somehow faulty because they did not produce much power during snow, thick cloud, rainfall (at night!?) etc. You see he had this model that told him that things should be otherwise. Not once in our conversation did the numpty ask me whether I checked the power system regularly to see whether it was working correctly or otherwise. Far out! Anyway, today the early spring sun was shining strongly in the late afternoon, the batteries were charged and so I decided to see how much power the photovoltaic panels were actually producing. 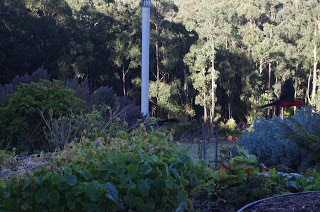 I have a meter in the house which tells me all sorts of interesting statistics about the solar power system. For example, it can tell me just how much of the energy that is being generated by the solar panels is actually being used in the system. Because the batteries were fully charged late this afternoon, not much of the energy being generated by the solar panels was being used in the system or house. Switching enough electrical appliances on in the house ensures that every bit of energy generated by the solar panels gets used. So I started baking a loaf of bread in the electric oven and did a spot of vacuum cleaning. Some other appliances were also switched on at the time too. Sure enough, the meter showed me that the solar panels produced 141 Amps out of a possible total of 150 Amps. That is about 5.1kW and it shows me that the system is working as it should for this time of year (and time of day). 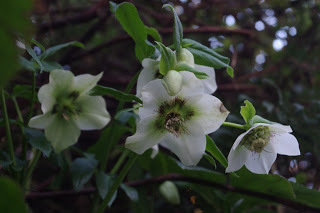 The snow fall last week caused a bit of cold damage to some of the plants here but otherwise, most plants barely show any damage at all. 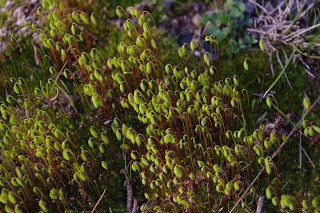 The herbage in the orchard contains a variety of mosses and some of those ground covers are now producing seed. 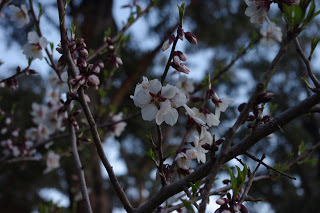 And spring is officially now here! 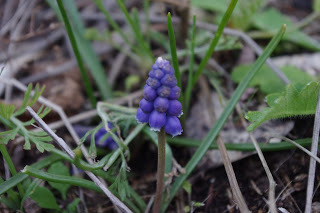 As is customary, I will finish the blog with some of the spring flowers that are growing about the place. 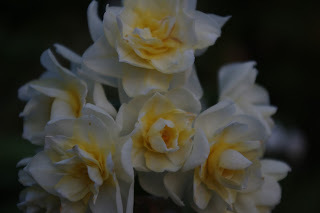 Daffodils are always good aren’t they? 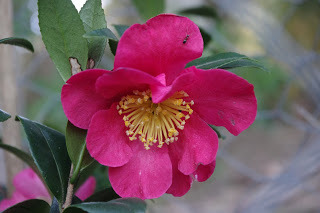 The Camellia has now bloomed! Note the little passenger. The temperature outside now at about 6.30pm is 2’C (36’F). So far this year there has been 620.6mm (24.4 inches) which is more than last week’s total of 605.2mm (23.8 inches). Post script – Respect the Rubik’s Cube! Alas I am not worthy. It snowed here again today! The rooms in the hotel had a faded glory as if their best days were far behind them, but they were still clean and orderly. The building was constructed in the 19th century and it was holding its age well. 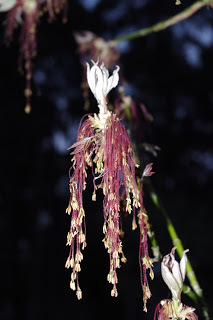 And underneath all those years was a certain understated elegance and civility. That business could not be faulted upon as the service was smart and impeccable. And yet behind the reception desk where a person who wore a smart uniform and assisted foreign travellers with their small concerns, there was a sheet of paper which notified guests of the various times when load shedding was to be expected. The time was late last century, when the editor and I were travelling in the city of Kathmandu in Nepal. The hotel was a very elegant and lovely old establishment which had clearly been catering to foreign tourists for at least a century. It was obvious to me that the establishment was very comfortable in its skin. And yet here was this mysterious memo stuck to the wall behind the reception notifying guests of impending and regular acts of load shedding. This load shedding business was all rather a mystery to the editor and I. All was now clear as mud. The editor and I were travelling in a third world country, albeit a very beautiful country with breathtaking scenery. We were intending to walk around in that country for a couple of weeks, and it appeared that the local authorities regularly cut the power off to parts of the city. The possibility was quite unfathomable to us! And the question remained: How could anyone even think that we were a load to be shed? But then we were a load to be shed because the memo said so, and the unthinkable became the thinkable! We were shed on schedule! Fortunately the load shedding didn’t affect the excellent food to be found in Kathmandu, and I can state for the record that the Himalaya mountain range did not get any smaller. Nepal had other surprises for me. Coming from Australia, which is a relatively flat continent, it never occurred to me that a person could walk uphill continuously for six hours. Far out! Strangely enough you could also purchase sugary soft drinks and chocolate bars in the most remote corners of that country (Yay for donkey freight!). Fortunately the load shedding didn’t impact upon the availability of chocolate bars. Of course the editor and I comforted ourselves that we lived in a first world country (in the worlds most liveable city no less) and inconveniences such as having the electricity supply regularly cut off should not be expected in a first world country. I noted earlier this year, that the powers-that-be decommissioned a coal fired power plant (Hazelwood) which apparently generated 25% of the states electricity. Well done. 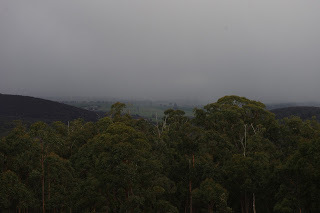 In about five years time, the state to the north of here is planning to also shut down their third largest coal fired power station (Liddell). If I had to give the governing powers a score card for this strategy I’d score them 10 out of 10 for environmental impact but 1 out of 10 for power supply resilience. The main problem for resilience is that electricity demand by the population continues to increase because each of these two states are adding by way of immigration approximately an additional 100,000 people each year to the capital cities (Melbourne and Sydney). And those people will probably want to use electricity. The local electricity story does not end there. 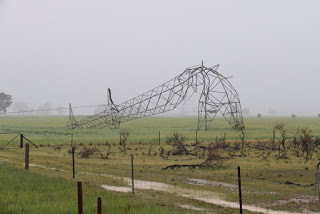 In 2016, the state to the west of here had the electricity linkage (South Australia interconnector) to us severed, due to a severe wind storm which toppled the electricity pylons. It was a most impressive wind storm (but no match for Irma). And strangely enough just before the end of 2015, the state to the south of us had the undersea cable (Basslink interconnector) severed for unknown reasons and those repairs took about six months. Needless to say, Bass Strait is one of the roughest stretches of water on the planet. Spare a thought for the poor folks living in that state to south because they rely on Hydro generators for their electricity and were in the midst of a drought and their dams got very low indeed. People must be taking notice of these changes because I have read articles suggesting that “load shedding” is now a distinct possibility in Australia, and that is despite living in a first world country. I won’t even mention other articles suggesting that the simplest way to save money on your electricity bill is not to use electricity in the first place (actually yes I will). 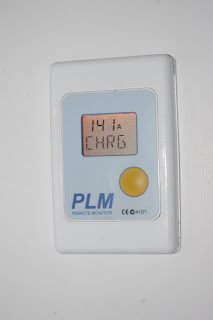 I have not lived in a house connected to the electricity grid since 2010. 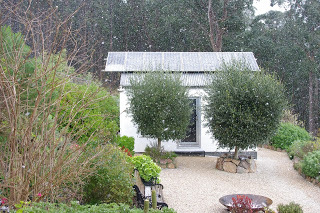 The house here has a small off grid electricity system that utilises batteries which are charged entirely from the sun using solar photovoltaic panels. 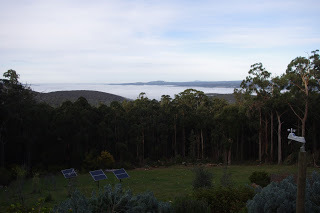 It has taken about seven years of tweaks, alterations and additions to our off grid system to make the most of that system. In addition, we have had to modify our behaviour to live optimally with this system. 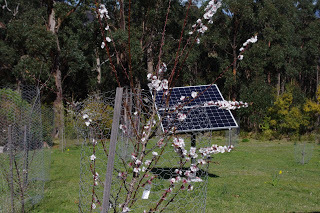 An off grid solar power system makes no financial sense whatsoever, because I reckon for the small amount of electricity we do use (which is substantially less than most people), we pay about $0.85 per kWh. People connected to the mains electricity grid pay around about $0.31 per kWh and enjoy access to substantially more electricity supply (unless they are a load to shed). But from a resiliency perspective and an environmental perspective an off grid solar power system makes a whole lot of sense. And at least I’m yet to see any notices stuck on the kitchen wall proclaiming regular load shedding for this here household. Of course that does not mean that there will be no outages should anything go wrong! What is it snowing again? I started to get a bit blasé about snow. Actually that is an outright lie! I loved the snow, and it was so exciting to see snow fall even when there was work that I should have been doing. What can I say, life is short and snow here is rare! Seriously, how good does this snow fall look? With the regular snow falls I got stuck into some work which kept me out of the freezing weather conditions. One such project was correcting a minor problem inside the chicken enclosure. When I constructed the chicken enclosure I attached a hook to the wall. 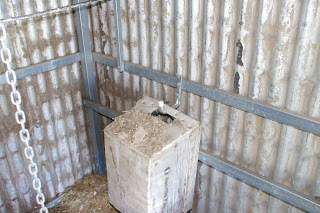 From that hook I hung a crate which I intended to use for the purpose of removing soiled bedding straw from the chicken enclosure. The chickens however, had other plans in store for that crate. The naughty chickens decided to roost at night on the crate. Sleeping chickens tend to deposit a lot of manure into their bedding straw. 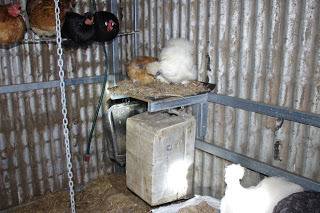 The crate was continually covered in soiled bedding straw and manure, and from my perspective it was remarkably unappealing to use for its intended purpose, and so it became an unofficial chicken roost. I decided to formalise the chickens arrangement. 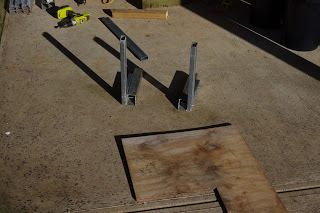 A more formal roost was constructed out of scrap steel and plywood. The arrangement was then installed inside the chickens enclosure. The fluffy chicken collective approve of their new roost and the crate is now not covered in chicken manure and soiled bedding. As the weekend arrived, the sun shone and the weather warmed and we were able to get outside to do some other work around the farm. When the house site was cut into the side of the mountain, we asked the excavator driver to push some of the many large rocks down the hill. One such collection of jumbled rocks presented an opportunity to create a round raised garden bed all the way down below the house. Now I have to mention that these rocks were huge, and a twenty tonne excavator can flick them around with ease. However, all the editor and I had to use was a six foot steel wrecking bar and some chocks to lever the rocks into place. Now a clever and long dead bloke by the name of Archimedes apparently said: “Give me a place to stand, and I shall move the earth”. That dead dude knew what he was talking about! Unfortunately my reality is closer to that of Sisyphus. 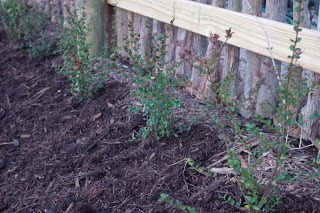 Plantflation has struck down under! 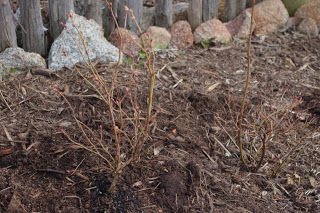 Recently I decided to add several Japanese maples into a large garden bed. However, I discovered to my utter horror that these plants now retail for far more than I had ever intended to pay for them. 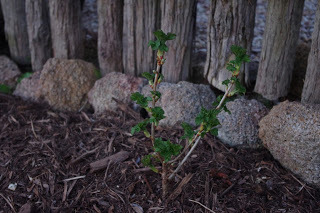 So I limited myself to the purchase of only three additional Japanese maples and they were planted out a few days ago. me a lever long enough and a fulcrum on which to place it, and I shall move the world. The temperature outside now at about 8.30pm is 10’C (50’F). So far this year there has been 641.6mm (25.3 inches) which is more than last week’s total of 620.6mm (24.4 inches). This week, two chickens have become broody. A broody chicken is a chicken that sits in place for about three weeks. 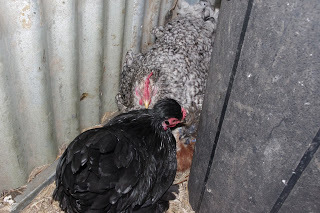 Underneath that hot and sweaty, broody chicken, is a clutch of eggs which the broody chicken is keeping nice and toasty warm. In a chicken enclosure with a rooster, the fertilised eggs would eventually hatch and the broody chicken may take those young chicks under her wing. I do not have a rooster and so the eggs are not fertilised. Chickens still go broody whether the eggs are fertilised or not. In the above photo you can see that the black chicken known as “Fluffy Head” wants to lay an egg. Fluffy Head wants the large grey chicken (Boss Plymie, the Plymouth Rock) and/or the small grey chicken (a Silkie) to keep her egg warm during the three week incubation period. Chickens are quite clever creatures in their own way, because they share the responsibilities involved in raising new chicks.From what I have observed over the years of their behaviour, they seem to have an organised roster system between them all for that purpose. However, it is not all nice in the world of chicken, as some of the social arrangements of the chickens can be pretty brutal. For example some of the “cool kids” in the chicken enclosure have never gone broody. And I have reports from friends who raise chicks, that some hens will actively harm and/or kill chicks that are not their own. The world of chicken is indeed a complex place full of intrigue. So in that world of chicken I noticed the other evening, that I have somehow managed to trap a lone mouse into the rodent proof enclosure. How the mouse came to be in the apparently rodent proof enclosure is a sad tale for the mouse. You see, a few months ago, the local mice were looking for an easy feed and so they burrowed a tunnel under the very thick concrete slab and broke into the chicken enclosure. Those mice enjoyed massive night time parties for a few weeks because they’d hit the food jackpot. The mice enjoyed free access to as much grain and clean water as they could scoff down every night. Of course during the day, the mice were unable to freely roam inside the chicken enclosure because the chickens would kill and eat them (not necessarily in that order). Chickens are most certainly not vegetarians! The mice were reasonably canny though, because as the morning sun appeared in the sky, they exited the chicken enclosure via their tunnel. The chickens and the mice were happy with the arrangement, and nobody ever got eaten. Unfortunately, I was not happy with the arrangement as the mice were eating the chicken’s grains, which cost me my hard earned $. The mouse situation was easily resolved. Many weeks ago, I mixed up cement at the start of a work day and poured it into the tunnel that the mice had dug. Then I poured even more cement over the general area where the mice had managed to get access into the chicken enclosure. The mouse problem was solved, for now. Little did I realise at that time, that I’d somehow managed to trap a mouse inside the – now once again – rodent proof chicken enclosure. Inside the chicken enclosure there is now one rather nervous mouse! The mouse has plenty to eat and water to drink, but it can’t escape the enclosure and it has to hide from the chickens during the daylight hours. It’s trapped with no immediate possibility of escape. The brilliant and long since deceased Mark Twain once quipped that: “The secret of getting ahead is getting started.” In last weeks blog comments, there was a minor discussion about how the future of the electricity grid would look. 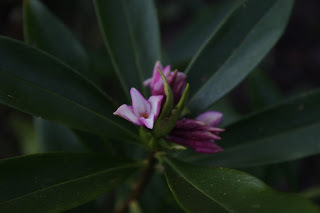 As a general rule, I don’t put much faith in peoples plans because plans are quite simple to make, but very difficult to implement, and so I dismissed the visions that were being served up to me in the comment section. My reaction was probably baffling for people who are used to being comforted by the thought that someone, somewhere, has a plan about some matter that requires a plan (maybe like the government, or ‘they’, whoever that is). I’ve noticed that plans are very soothing to people and they are regularly thrown about in the media. However, as the Australian punk band Regurgitator sung in their modern classic song, Bong In My Eye: “How can I f&*# the system, when I’m sitting on the couch? I’m not a threat, not a danger, when I’m stuck inside the house.” An honest observation from the irreverent band and perhaps more relevant to the story than you would at first think! The mouse probably has a plan to escape from the rodent proof enclosure, but the question remains, can the mouse implement the plan? Or is it too comfortable on the couch? 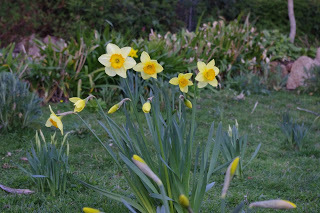 With winter on the way out, and spring on the way in, the weather this week has been very changeable. 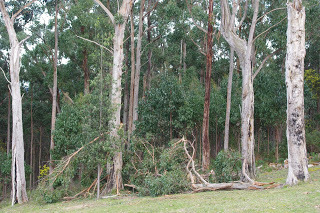 Some days were extra windy, and one night a huge branch fell from a very large tree. It was very thoughtful of the forest to provide us with free firewood! Big winds dropped the top off this tall tree. I call that free firewood! 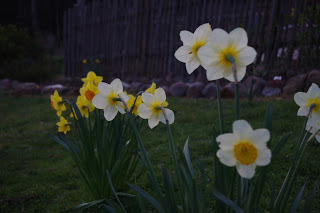 The next minute, the spring sunhsine was glorious to behold. 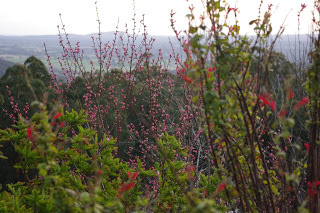 Spring sunshine has an almost sparkly glint, and the plants eagerly reach up to the sky to receive that post winter warmth. 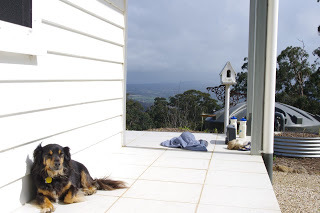 The dogs are likewise happily cooking their heads in the spring sunshine, even when an ominous storm is lurking in the background. Fortunately the editor and I had completed repairs to the path around the now much larger tomato enclosure before the storm hit. 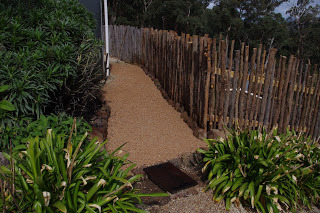 That path took an additional half cubic metre (0.65 cubic yards) of local crushed rock with lime. All weather paths are an invaluable chunk of infrastructure on a farm. Then the spring storm landed. The rain was torrential for about an hour. 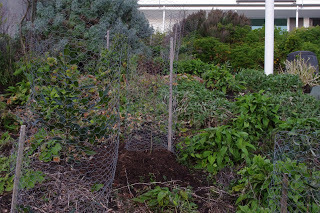 Most of that heavy rainfall was captured in the soil, and the above rainfall is directed into a swale (the fancy name for a ditch which slows water allowing it to infiltrate into the soil) just below the tomato enclosure. 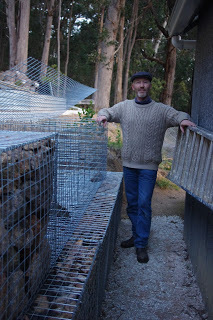 I have not mentioned the rock gabion project – which is located behind the wood shed – for a while now. 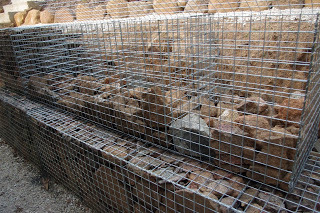 Rock gabions are a technology for retaining soil on steep embankments, and they are usually constructed from a steel cage which is filled with randomly sized rocks. 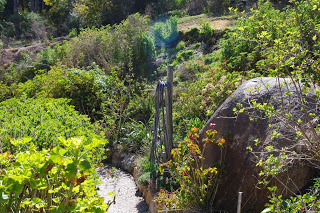 On the farm we have a combination of steep embankments, lots of rocks, and a need for rock gabions. Some may call that a perfect storm? Whatever, rock gabions are enormously strong and I reckon there is a real beauty in their form. 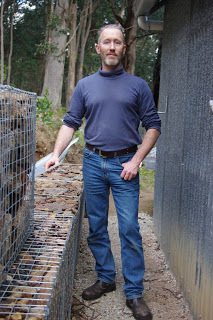 This week we finally filled the fourth rock gabion behind the wood shed. 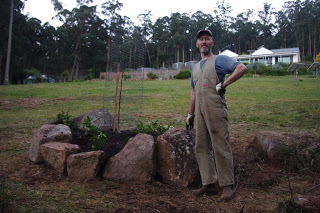 The editor was joking that sewing up the upper edge of that completed rock gabion with heavy duty steel wire was a good use of the sewing skills that she learned in home economics at school! I certainly had to learn quickly in order to keep up with her. 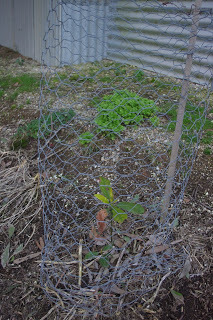 We then constructed the fifth rock gabion cage from some scrap and a few sheets of welded steel mesh. 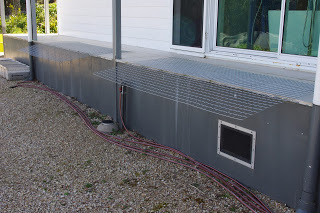 The two sheets of welded steel mesh were bent using our leg muscles and a straight edge which was provided by the tiles on the fire retardant veranda. After a couple of hours work (and another change in weather) a brand new fifth rock gabion cage was sitting in place on the ever extending rock gabion wall. All we have to do now is fill that new steel cage with more rocks! 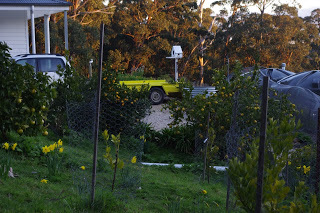 Did I mention that this season we have a lot of lemons? Eighty seven lemons were apparently picked and the lemon trees look the same to me. Fortunately, I have craftily worked out a way to convert lemons into muffins (oh, they’re good!) 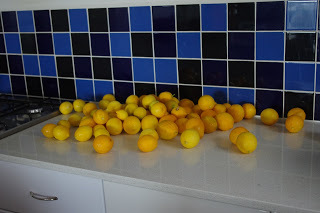 At this time of year, we generally press a whopping great big mass of lemons for their juice which is used in cooking, preserving and wine production for the remainder of the year. This is a good start. 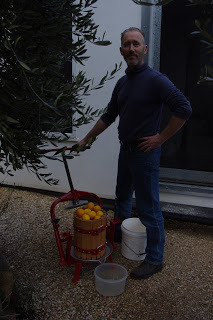 Juicing huge quantities of fruit is very easy, if you have a quality fruit press. The entire job takes less than half an hour. 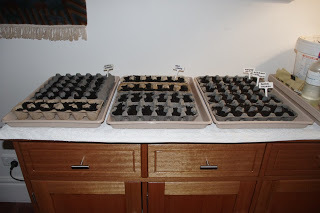 We have again started some of our summer vegetable seeds inside the house. 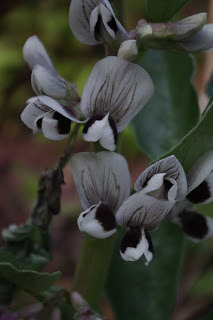 We always use a mix of saved seed and purchased organic seeds as the germination rate of the seeds is very high (at a guess I reckon it is above 80%). This year we are experimenting using egg crates sitting in plastic trays to raise the seeds in. There is one seed per egg holder and each egg holder has a hole for the roots to exit and the water to enter. We figure that as the seedlings grow we can cut apart the egg crate and simply plant the chunk of crate with its seedling outside in the tomato enclosure thus incurring less transplant shock than in previous years. We don’t really know how it will turn out and for all we know, it may not work. 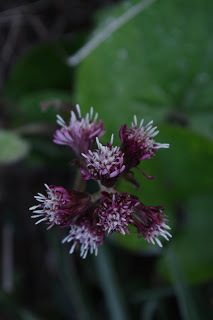 Can anyone guess what this intricate stunner is? The final words of the week go to the band “World Party” for their genius and truly outstanding 1987 song “Ship of Fools” from which I borrowed the lyrics from for this weeks blog. Total respect guys! The temperature outside now at about 9.00pm is 7’C (45’F). So far this year there has been 665.8mm (26.2 inches) which is more than last week’s total of 641.6mm (25.3 inches). From my late teenager years onwards, I worked full time and studied an undergraduate degree at University part time, at night. The necessity of paying the rent, keeping food on the table and a roof over my head during a time of 10% unemployment was no joke thus I was unable to afford to attend Uni full time. Usually, in those night time University classes I was the youngest person in attendance. I vividly recall an experiment that the University undertook with the objective of producing more well-rounded graduates. The experiment involved all students having to undertake a humanities subject which examined some of the larger social issues facing the country. Given that the subjects were compulsory and couldn’t be avoided, I chose to enrol in the intriguingly named : The Generation and Distribution of Wealth in Australia. Anyway, the interesting thing about that subject was that there was a guy in the class who I used to go to high school with. The chances of that happening were infinitesimal, but there he was. At high school we’d never spoken to each other, but at University, things were different. 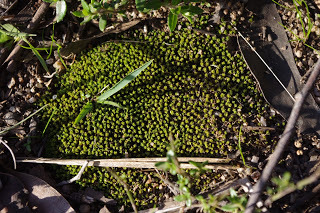 We were small fish in a very big and diverse pond. Of course, the reality may have been that he had nobody else to talk too, and there was always the necessity to do group assignments rather than individual work. Part time study was a strange beast, because people turned up in an evening, did the work required of them, and then went back home after a long day of work and study. If they were anything like me, they were probably feeling rather tired. As an interesting side note, I always laugh when I see movies depicting College student debauchery because that gear just didn’t happen down here with part time students. Come to think of it, I don’t know of any full time students who lived that sort of hedonistic life either. ‘Animal House’ it was not! Whatever may be the case, for a year or two afterwards we used to undertake the same subjects and talk rubbish and generally keep each other up to date on what was going on in our lives. Then one year he just dropped off the radar. I on the other hand had taken on a new job and to my absolute horror (I hate early mornings), the new job expected me to be on the first plane (the red eye) to Sydney once a month to work in that office, and then fly back again. The guy who dropped off the radar had led an interesting life, in the true meaning of the apparent ancient apocryphal Chinese curse, which when translated into English states: “May you live in interesting times”. Nobody in their right mind wants to live in interesting times! Anyway, the guy had lost both his parents a few years before and given that trauma, he was surprisingly well balanced. 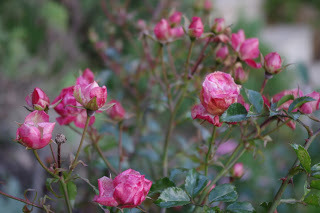 However, he did have a keen sense of the fragility and uncertainty of life. On the other hand the trauma left him exceptionally well financed relative to his peers. In a strange coincidence a year or two after he dropped off the radar, I met him randomly one day in the street in Melbourne. 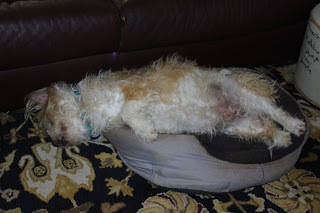 To be honest, he looked more relaxed than I felt at the time, and perhaps he was. He told me that he’d purchased a caravan park up on the north central coast of New South Wales and spent many of his days surfing the excellent surf breaks up there. He invited me up to visit, but I was so busy working that I never got around to taking up the offer. I was thinking about that guy this week because at the time, he told me that his girlfriend broke up with him because she had no intention of living in such a remote (but astoundingly beautiful and natural resource rich) part of the country. At the time, I was surprised by that break up because they had been together as a couple for many years. However, what brought all this back to my attention earlier this week was that I read a quote from an 1860 Canadian Settlers Guide (C. P. Traill) which was: “If he be by nature indolent, and in temper desponding, easily daunted by difficulties and of a weak frame of body, such a life would not suit him. 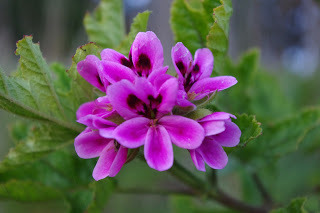 If his wife be a weakly woman, destitute of mental energy, unable to bear up under the trials of life, she is not fit for a life of hardship – it would be useless cruelty to expose her to it”. People respond very differently to both my lifestyle and my property here. Some people believe that I am very lucky, and yet others believe that I am selfish for a variety of reasons. Neither view really sees the full picture of life here. The former tend to see only the beauty and the latter tend not to see the hard work. How lucky I am that the editor is happy to share this particular adventure with me. Living on a small holding is certainly not for everyone! 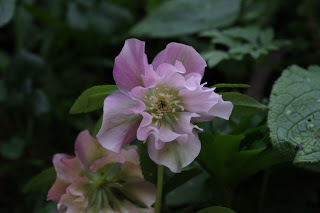 Ours is a life of balance and there is a mid point which is reached between enjoying the beauty and doing the hard work required to bring that beauty into being. Hot and cold weather doesn’t stop the ongoing work here! 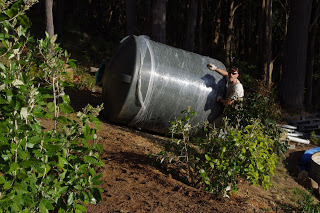 This week we added a new 4,020 Litre (1,062 Gallon) water tank to the farm. 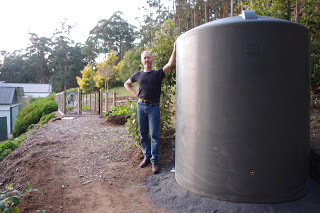 This new water tank is intended to provide water to a new garden terrace which is currently under construction. A new project! 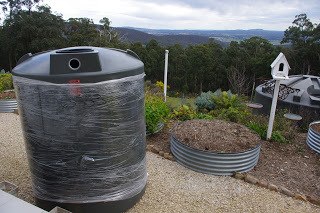 The water tank was to be located on an ‘under construction’ terrace for the strawberries. Unfortunately that new terrace is above the house and so the water tank had to be pushed up hill in yet another Sisyphus moment. In the photo above you can get an idea about how big water tanks are – even a little one like this is quite large and heavy. A flat spot for the new water tank had to be excavated. 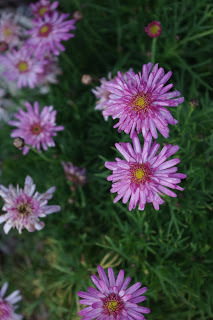 We picked a nice spot in among some Musk Daisy bushes (Olearia argophylla). 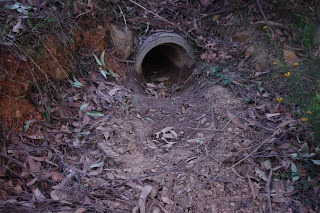 After a couple of hours of excavations the new – and now flat – spot for the water tank was ready to go. Underneath water tanks I add a quantity of rock crusher dust. 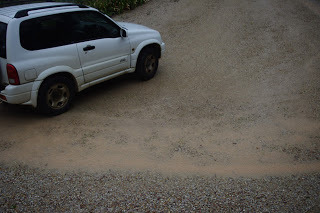 Needless to say that stuff is dusty, but it settles beautifully and is a far stronger base than sand. As I filled the new water tank with water from the house, I had to empty another existing water tank in a different location. The reason that the existing water tank had to be emptied was because we had inadvertently set it too high. And the only way to lower a heavy tank is to first empty it, otherwise you have no hope of moving it anywhere – even a very strong wind has no chance of moving one full of water! Then we began excavating the new strawberry terrace. 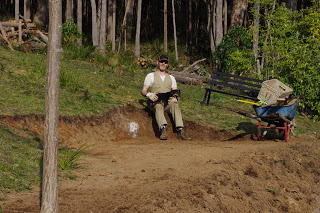 We use an electric jackhammer with a wide clay spade to dig into the side of the hill. Then a mattock – which is a hand tool used for digging which can be seen in the photo above – to break up the clods of clay. A shovel and rake are used to move the clay so as to cut a flat terrace in the side of the hill. After a days excavations, about 40% of the new terrace area had been excavated. It is hard work, especially when the sun is shining more strongly than you would expect for this time of year. All that digging unearthed a good quantity of rocks. 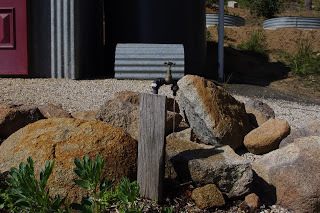 We love rocks, and every rock has a use on the farm. Mostly! 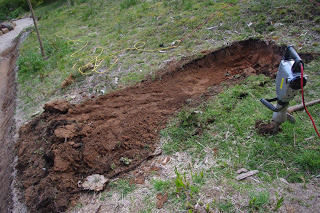 In the photo above you can see just to my right that we unearthed the edge of a huge rock which we cannot move or break. The huge rock has provided us with a corner for the new terrace (and you can’t argue location with massive rocks)! 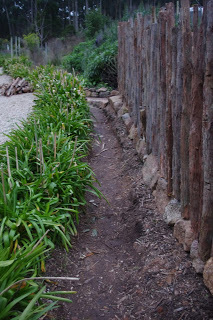 However, all of the other unearthed rocks were either: put to one side if they were large enough to be used in a garden bed; or placed in the new rock gabion cage. 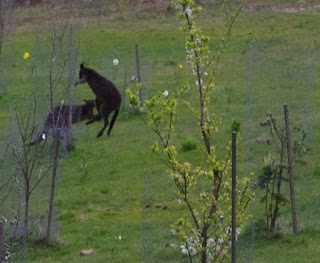 The wallabies are a bit frisky now that spring is here and the weather is warming. 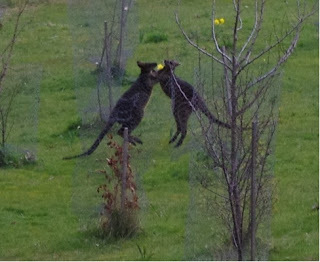 Several male wallabies have been fighting each other in the orchard at night for the attentions of a female wallaby. Needless to say, the female wallaby (like the kangaroos who are also in the orchard) are very nonplussed at the epic wallaby battles. 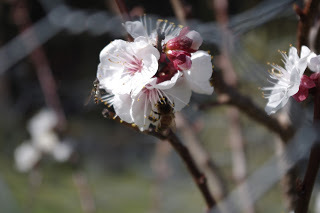 Spare a thought for the poor fruit trees and daffodils who are the real victims here! 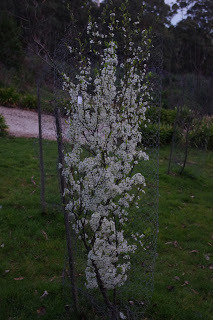 Ornamental cherry tree – Showoff. Nuff said! The temperature outside now at about 8.30pm is 5’C (41’F). So far this year there has been 672.4mm (26.5 inches) which is more than last week’s total of 665.8mm (26.2 inches).